One of the great features of Tivo (and one of the reasons why we won’t switch to a different PVR) is that you can transfer shows to your computer. This is great for teachers as you can find shows and copy them to your computer to then use in class. 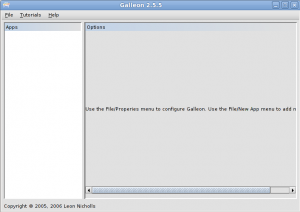 Alas, switching to Linux meant I would either have to emulate Windows and use that to run the Tivo Desktop software or try out Galleon, which is similar to the Tivo Desktop software, though actually more powerful in some ways. I opted for Galleon, but boy is it hard to install. So, having done it a couple times now, I’m going to document it in detail so others can see exactly how this is done in Ubuntu 9.04 based on the directions from the Galleon website. You can only save that file if you accessed it as root, so make sure you did. Then save it and close it. 3) Download the Galleon zip file to your computer and unzip it to a temporary directory (doesn’t matter where, just make note of where). 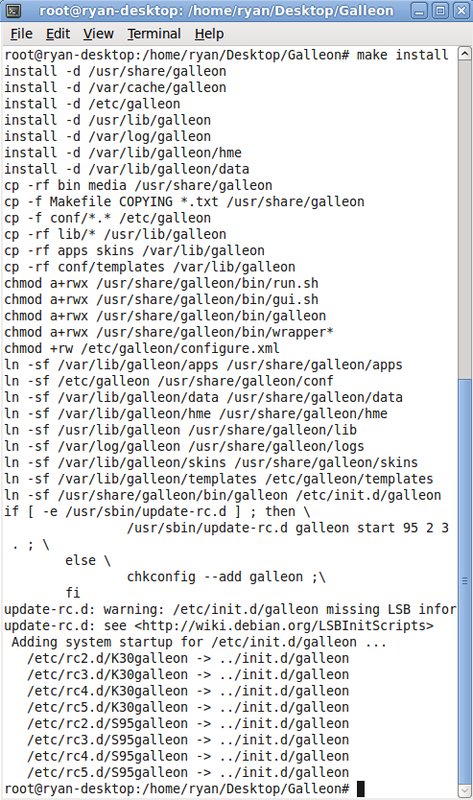 According to the Galleon website, the application is installed under “/usr/share/galleon” and set to start up on boot. If you don’t get any errors, you’ve done everything correctly. Woohoo! 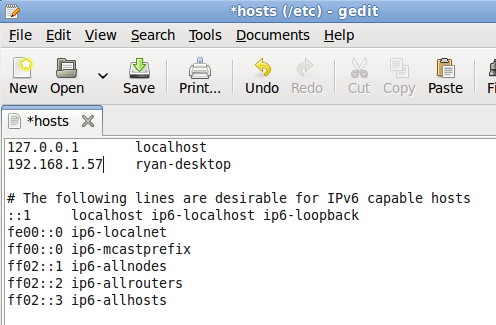 7) Of course, to get the software to actually interact with your Tivo you need to do a couple more things. First, now that you’re up, go to “File->Properties” and type in your Media Access Key. You’ll also probably want to include a “Recordings Path” where files transferred from your Tivo will be stored. 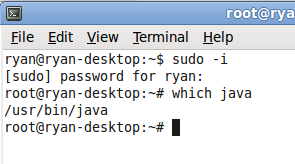 Before you do anything else, go to “File->Exit” to save your settings in the configuration file. 8) If everything is working, you can click on “File->ToGo” and look around to see if Galleon has connected to your Tivo. If so, you should see your Tivo and then look around for what’s on it (see pic below). If it works, lucky you – you made the correct sacrifices to the Galleon gods. If not, well, your sacrifices were apparently insufficient to appease the Galleon gods. You can try again, you poor sod, but who knows if it will actually work ’cause the Galleon gods may simply not like you! 9) You’ll probably want to install some Apps as well. To do that, click “File->New App”. You can add a variety of Apps. I usually install the Music, Photos, and Go Back apps. 10) The final test is to go to your Tivo with your Linux box on, go to the list of recorded shows, and scroll down to the bottom of the screen. If you see something like “Desktop” or something to that effect, you’re Tivo is communicating with your computer and you can transfer shows. It’s something akin to a miracle. Go offer another sacrifice (or maybe make a donation to the Galleon programmers) and pray that nothing breaks the magical bond between your Tivo and your computer.